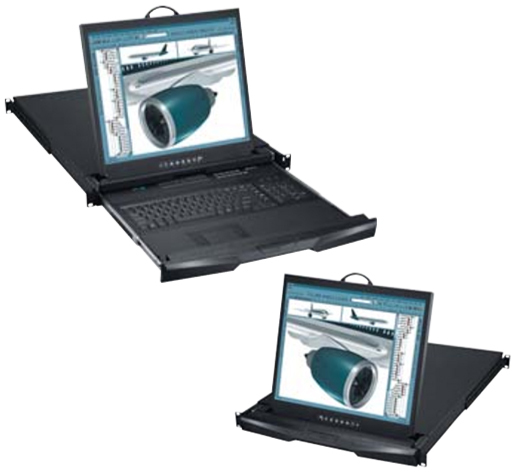 The NS117 is a 1U Rackmount Monitor Drawer with 17" LCD and SUN keyboard with trackball or touch-pad mouse. Single Console 1.73 x 17.4 x 19.7 in. Console w/ KVM 1.73 x 17.4 x 24.4 in. Console w/ KVM 5.5 x 23.2 x 31.8 in. LCD panel size ( diagonal ) 17"